Drift off into peaceful, restful sleep with the beautiful and relaxing music of Alpha Wave Movement and Hemi-Sync®. 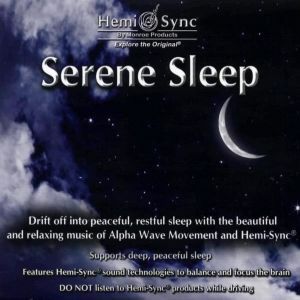 Ambient textures, hypnotic soundscapes, nature sounds, Tibetan bowls and bells with hints of the Far East throughout gently create a place of tranquility, while the Hemi-Sync sleep frequencies carry you into deep sleep. Instruments include: Yamaha Motif, Ensoniq ESQ-1 + Modified VFX-SD. All compositions, programming and recording by Gregory Kyryluk. Relaxation music; Deep sleep and dreems.